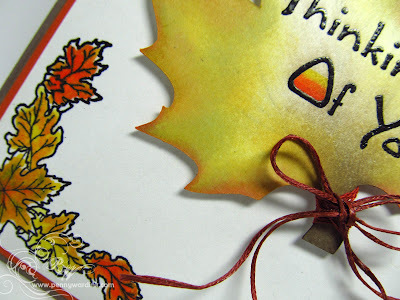 I am Guest Designing again over at Sweet Stamps Challenge Blog, and you will have to go there to see the whole card...oh go on, you know you want to see the rest of it. How cute is that Candy Corn "O" ????? Oh looks great-off to check it out, Penny! Congratulations on being Guest Designer!! Love finding your work wherever I look!! And yes, the candy corn "O" is genius! A very nice clean and simple fall card, great job with the theme.